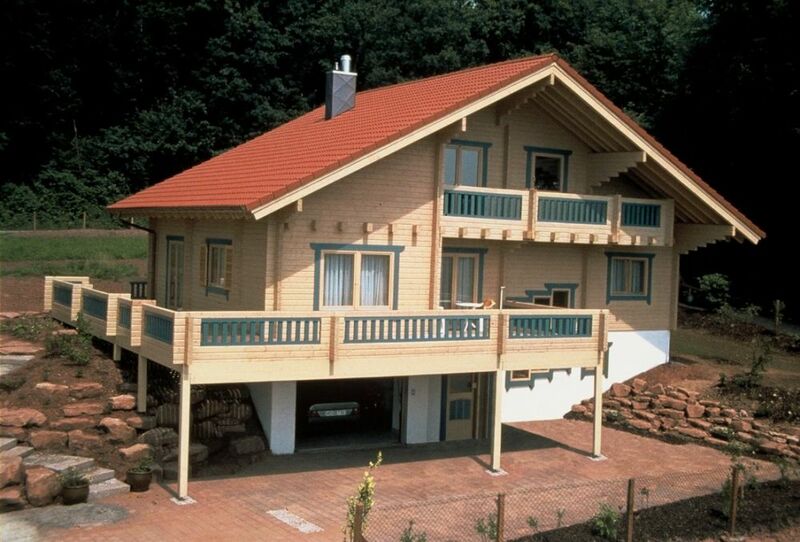 We manufacture all available log types, massive, laminated, rounded, D and laminated rounded logs. What our products have in common is their stage of completeness. Usually logs have machined corner notches and drill holes, but we also machine notches and pockets for beams, pre-cut diagonal corners and all other possible notches needed. In addition to logs, all main supporters are cut a definite measure. These provide a noticeable benefit during erection and reduce measurement mistakes at worksites. Our laminated logs are glued from two or more planed blanks in a way that the heartwood will stay on the logs surface. This is done to ensure that cracking and bending stay minimal. 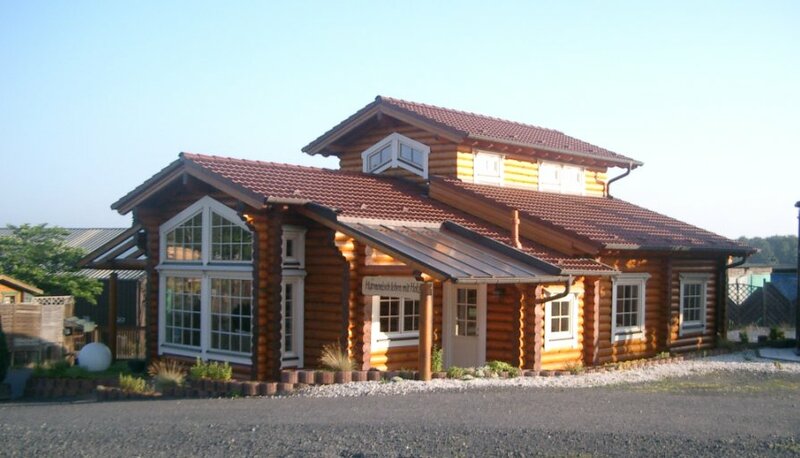 Most of log houses we produce are by various sizes of laminated logs but of course we produce a lot of different log types too. 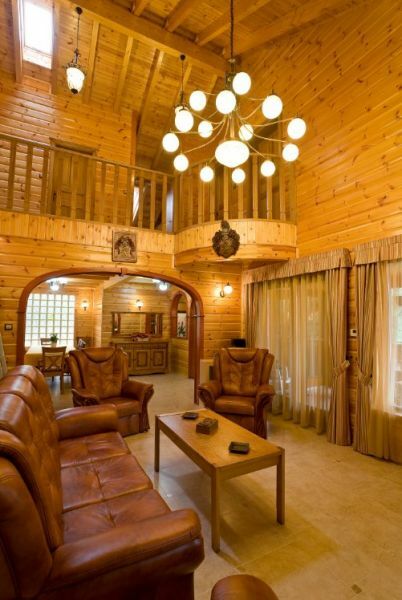 Massive square logs are pure wood, without any glue films or other chemicals. 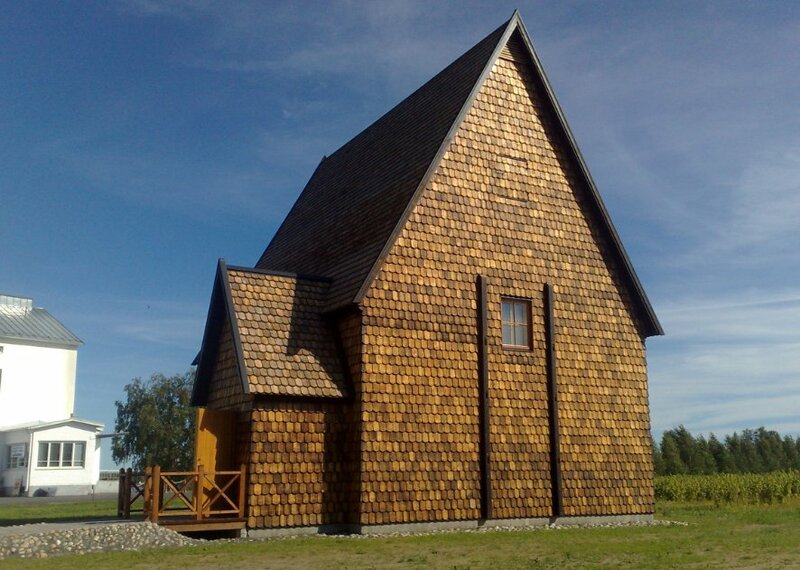 This enables the wood to breath naturally. 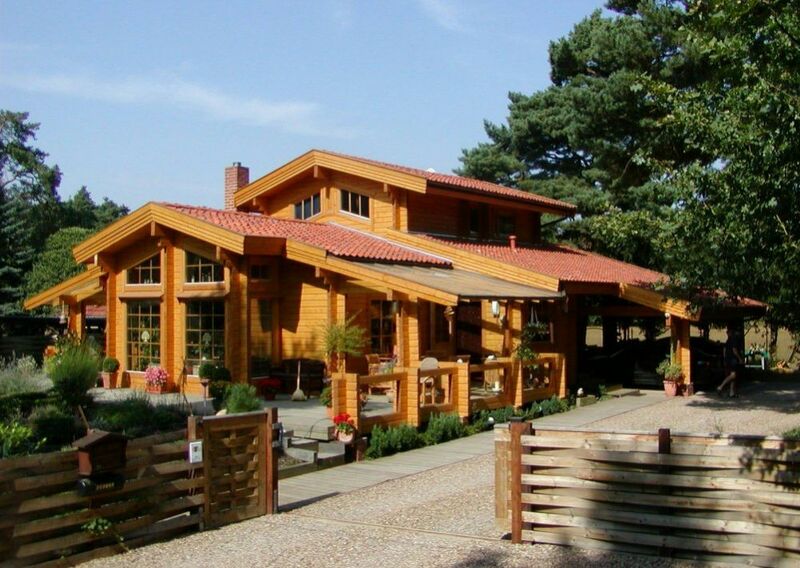 If looking for a way to live in a more ecological way, massive logs are definitely one of the best candidates out there for a greener home. In our log selection the 70 and 95 mm thick massive logs are processed by heart-cut saw technology (2-ex log). 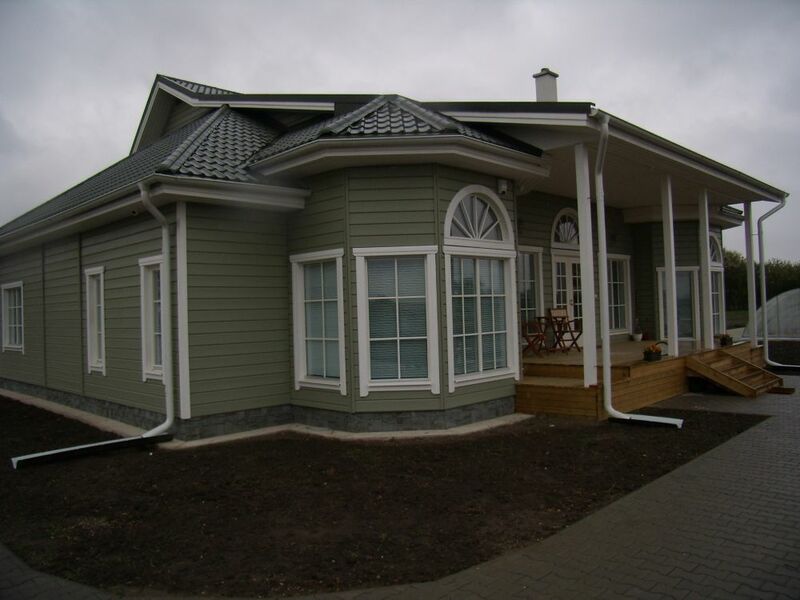 This style minimizes cracks and bending of wood and it is the reason that these logs have almost same features as laminated logs, but naturally. 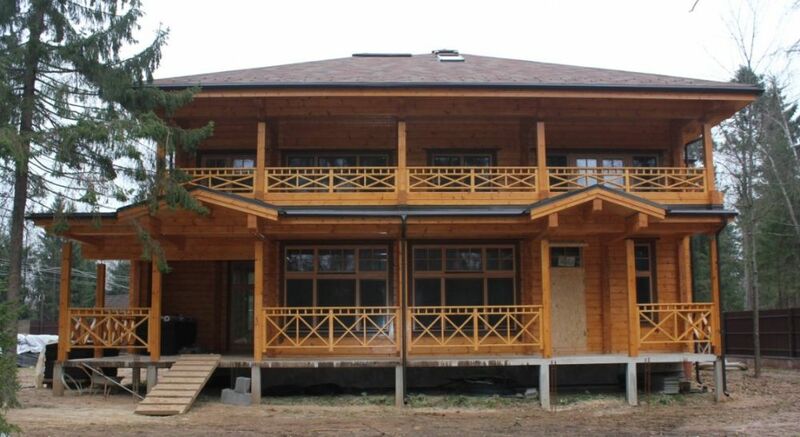 140 mm and thicker logs are traditional “heart in the center” (1-ex log) square logs. 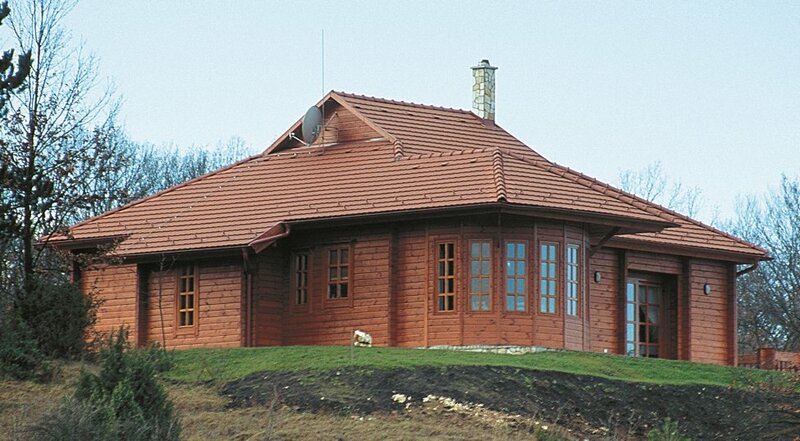 We have noticed that ecological and natural way to build homes increases every day. 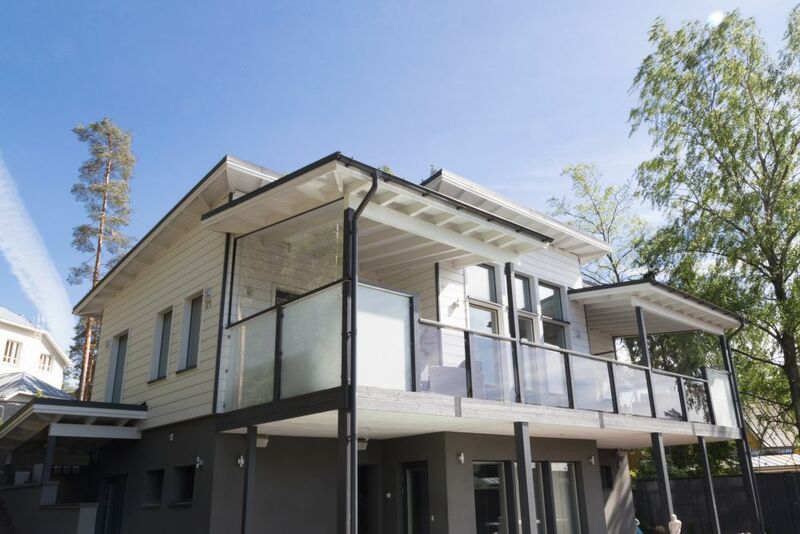 More and more clients require their house without any chemicals. 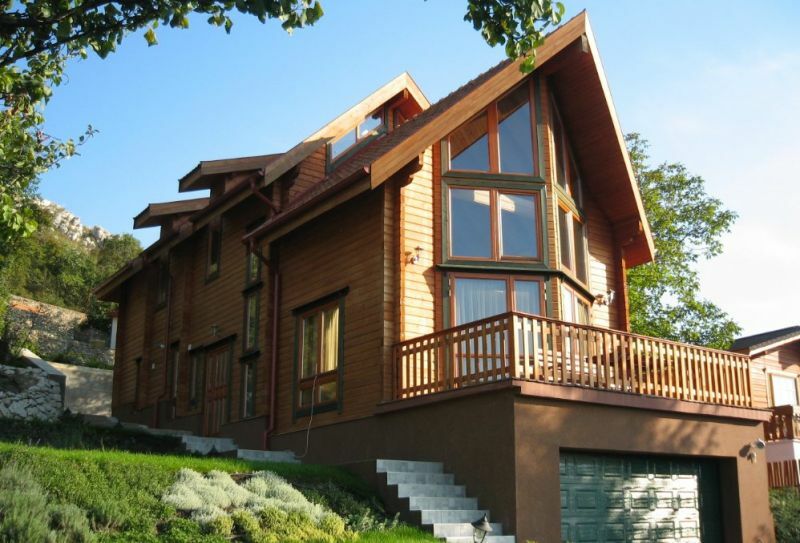 They want to have original solid log house. We can respond this require by our massive 200x200 logs (U-value 0.54). 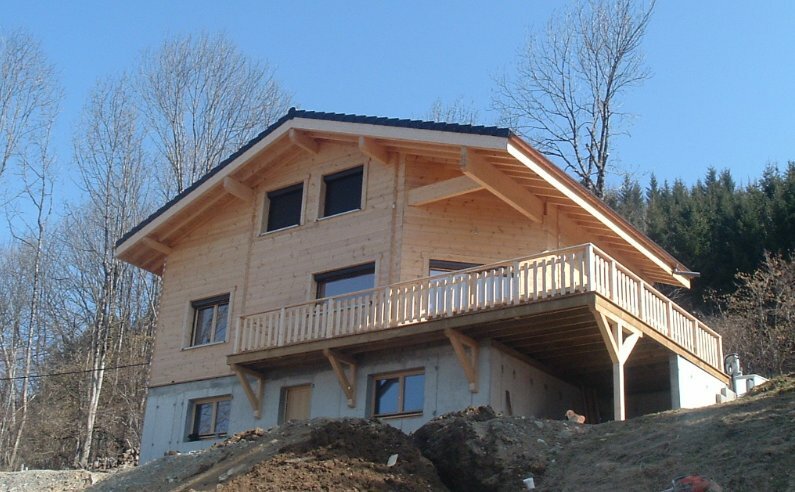 This log is approved to use in external walls without extra insulation in permanent living houses in many countries. 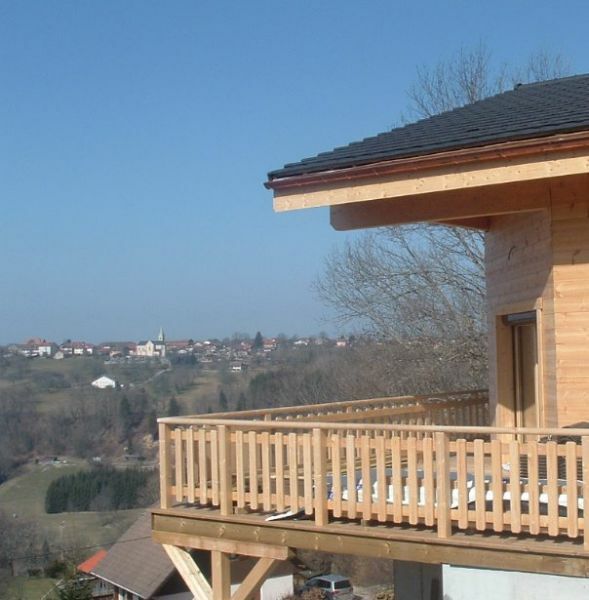 This logs are 100% free of polyurethane, vinyl acetate or melamine resin. We do not claim that these components of wood laminating glues are risk to health, but also we are not questioning our client’s opinion to think so. If logs are free of all chemicals there is no reason to think this matter at all. In natural logs some cracks and small bends are obligatory according to the laws of nature. 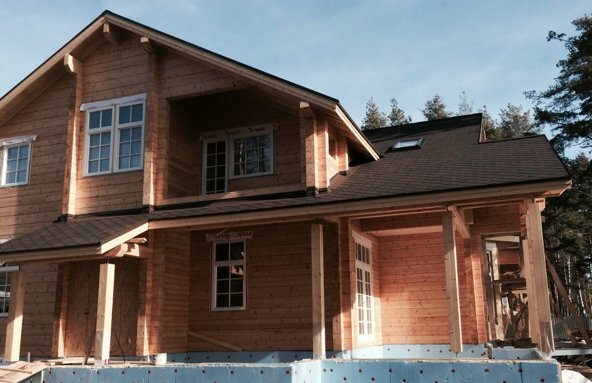 We are familiar with these laws and we have developed our pre fabricating of raw wood and drying technology so it minimizes the cracks in visible sides of log and guides biggest cracks to under of log. Reasonable sized crack does not make logs any weaker at all, but it indicates that the logs are in their natural position. 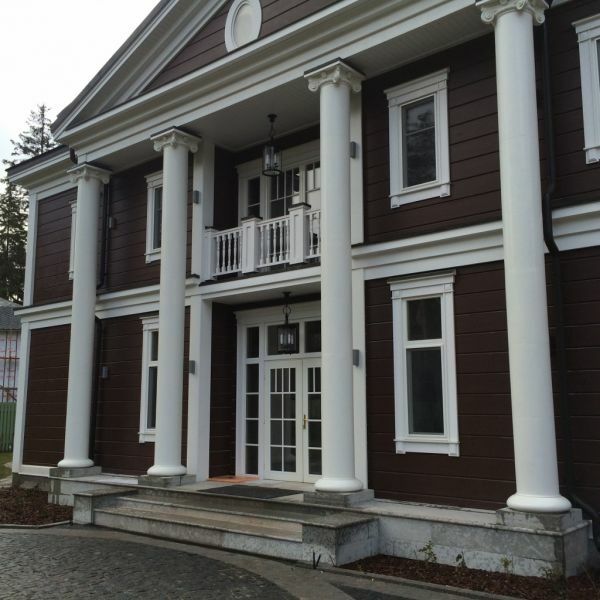 We produce massive round logs in dimensions 150 – 270 mm in 20 mm steps from original Finnish pine. 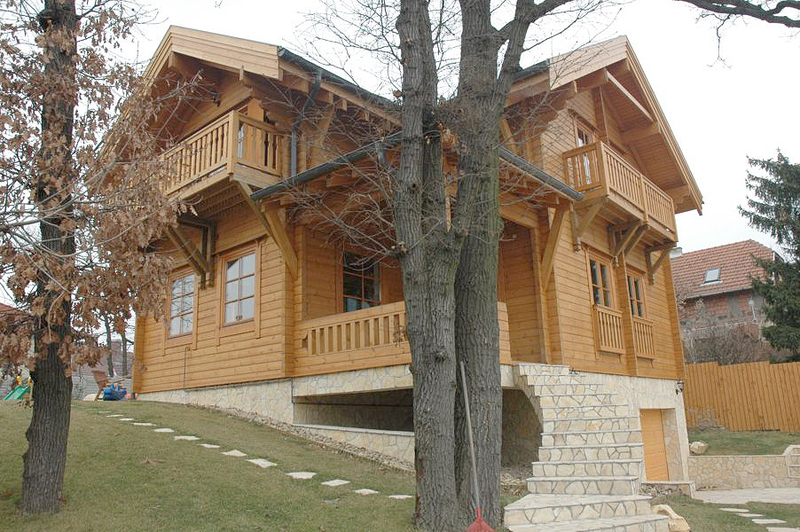 Available is also various set of laminated round logs in dimensions between 190 -295 mm. 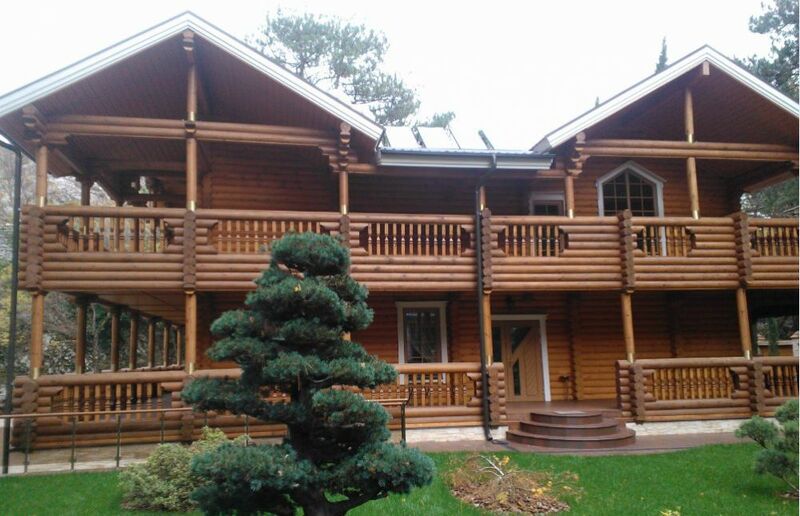 Laminated round logs are produced from pine or spruce, as client likes best. 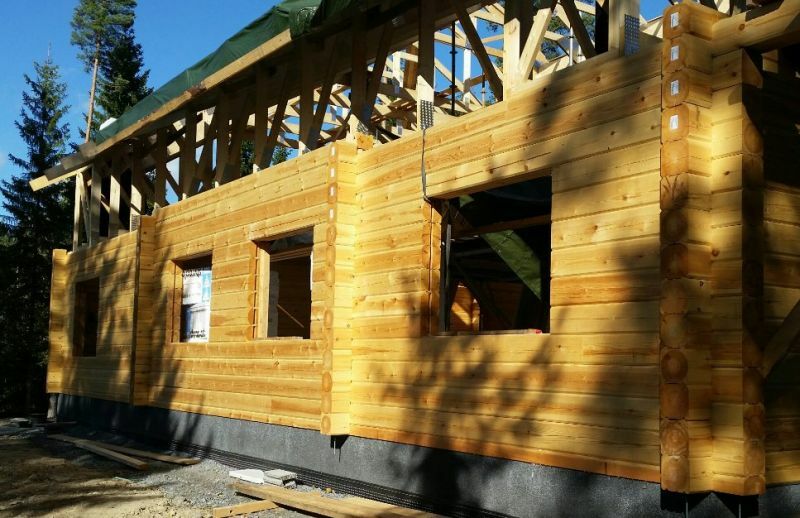 Square massive logs in dimensions 70 and 95mm and laminated square log in dimensions 75 and 88mm with insulation timber frame are our most popular wall construction types in European export of us. 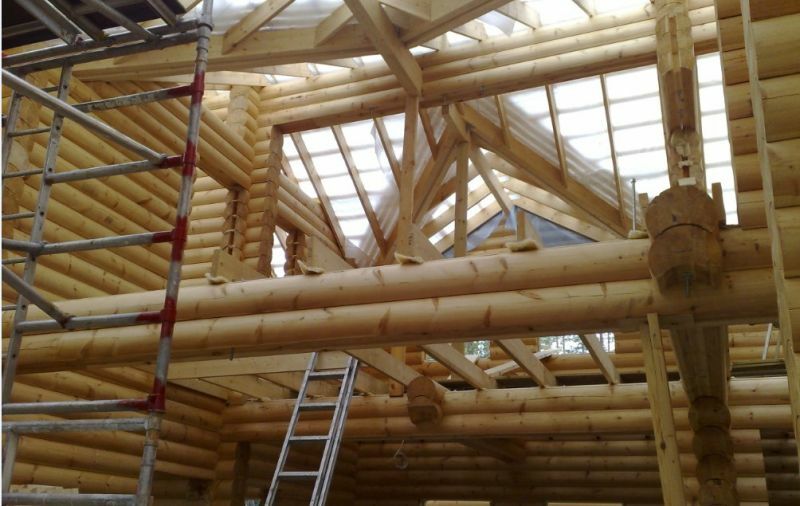 Today’s energy efficiency demands are in many countries so strict that even thickets logs need extra insulation to fulfill regulations, so it is reasonable to use these moderate log dimensions. 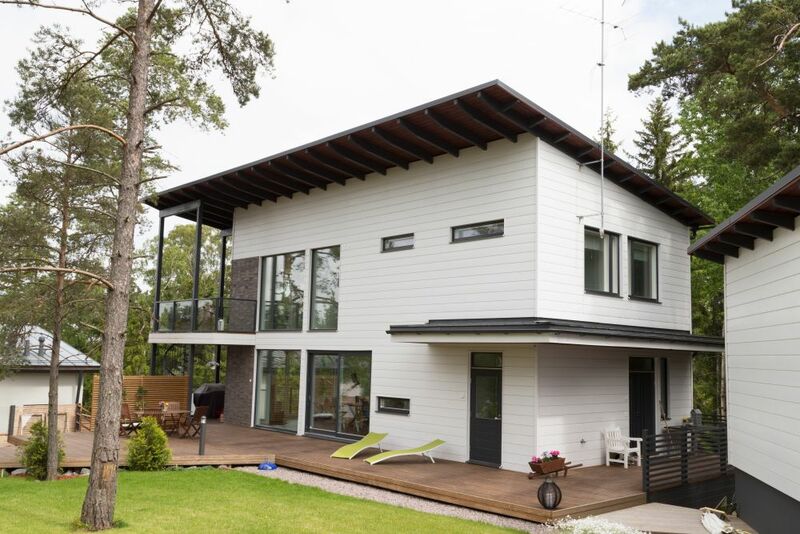 Insulation frame also gives benefit to construction; it is possible to make more complicate shapes of roof and walls because it is possible to hide bearing beams and columns inside of insulation wall frame. 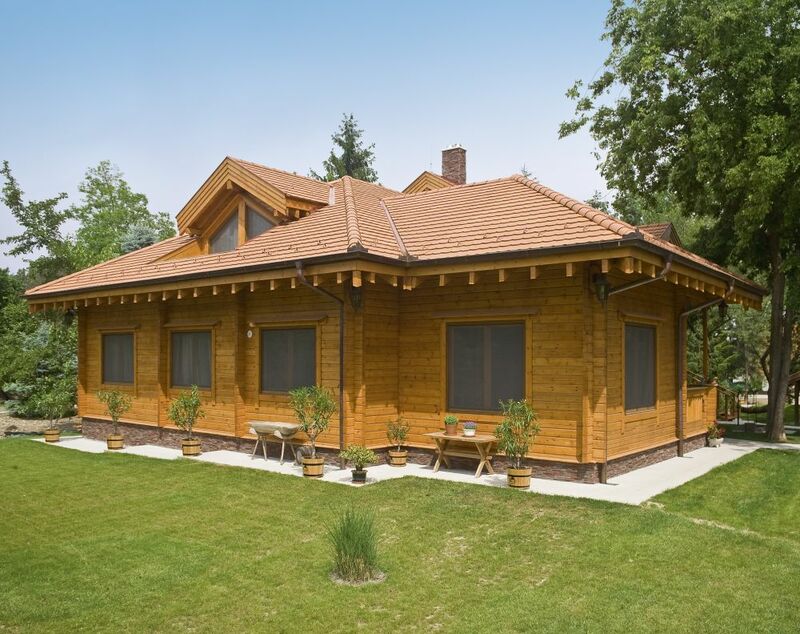 If some day regulations for thermal insulation comes more strict than today, it might be so that this type of construction of log wall is only possible solution for permanent living houses. 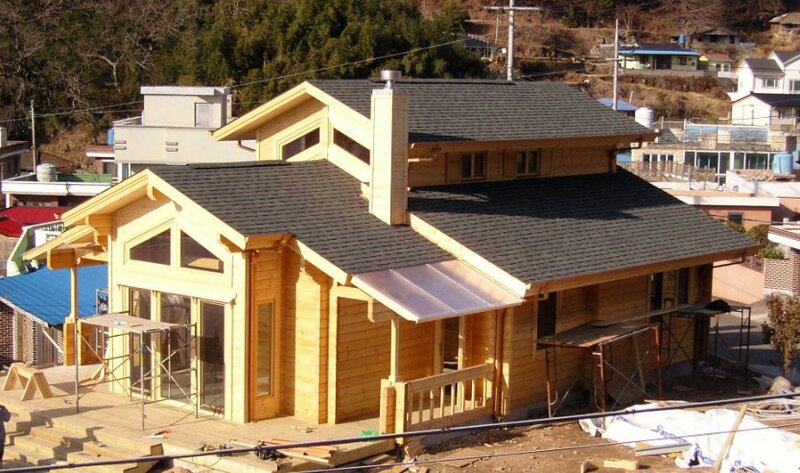 There is no limit how big house can be built or what is the house shape using this construction style. 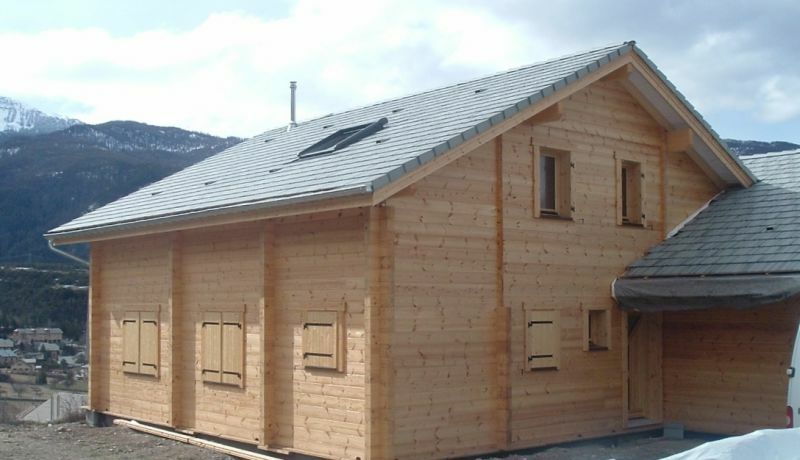 If budget or thermal capacity requirements demand to use smaller logs with insulation wall frame and there is desire to have look of thicker laminated log, we have solution: Lami-look wall construction. 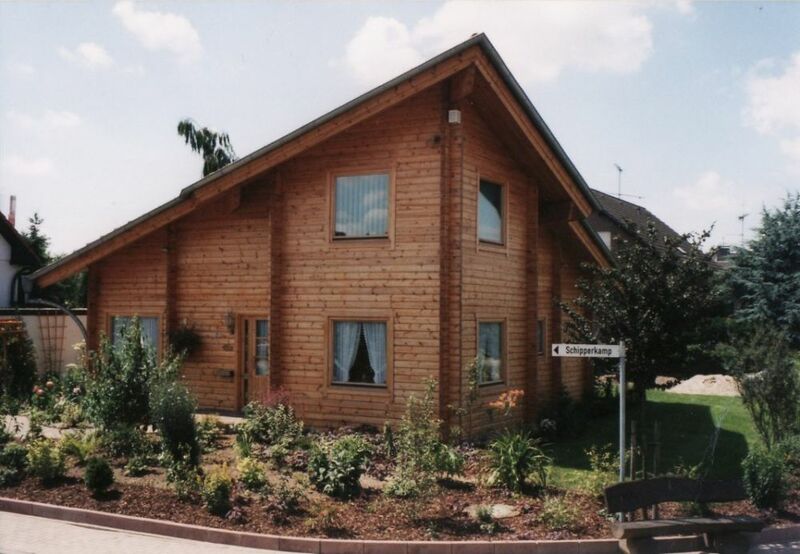 Actual log wall might be for example 70x208 logs + insulation timber frame and visible log parts for example 202x208 laminated logs. 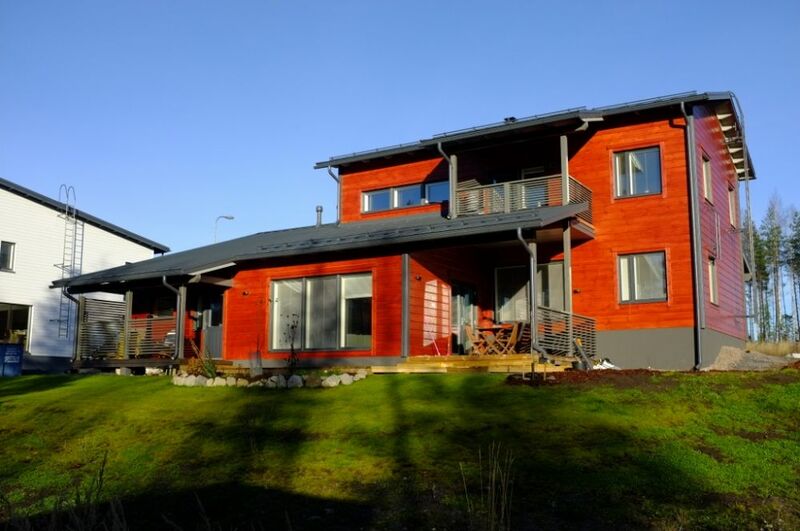 This solution will give a look of 202x208 solid laminated log house, but energy efficiency will be more than twice better and price for log kit a lot cheaper.. 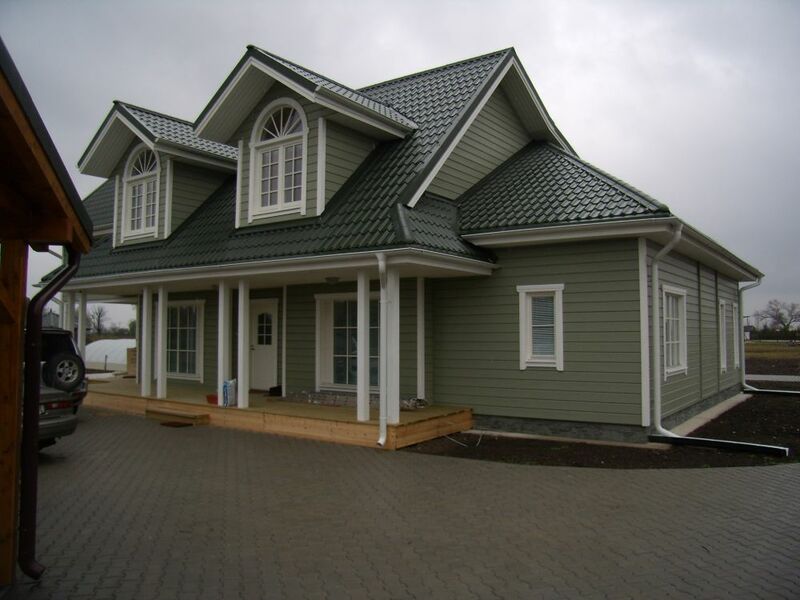 Using this technology it is possible to build full log house, in which also pediments and even internal walls are made of logs in reasonable price. 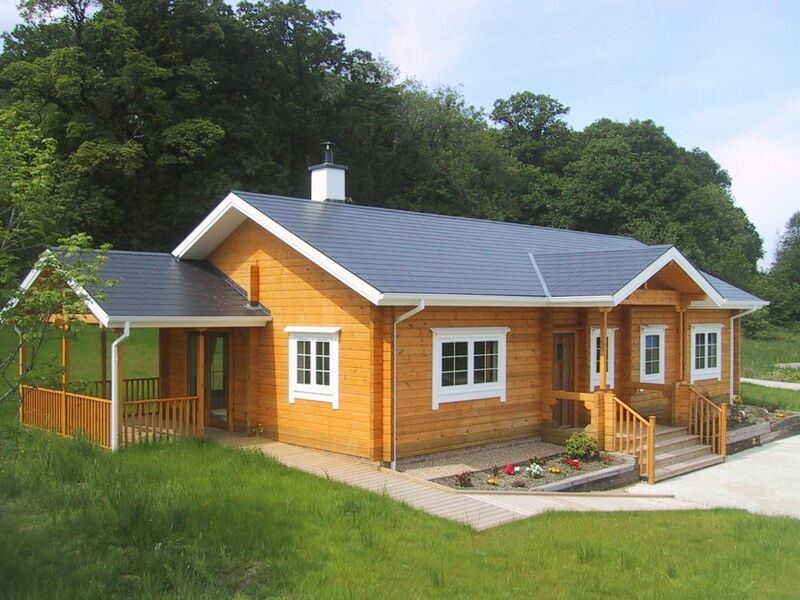 Normally log house by thick laminated logs is only “half a log house”, only external walls are logs, only up to intermediate floor. 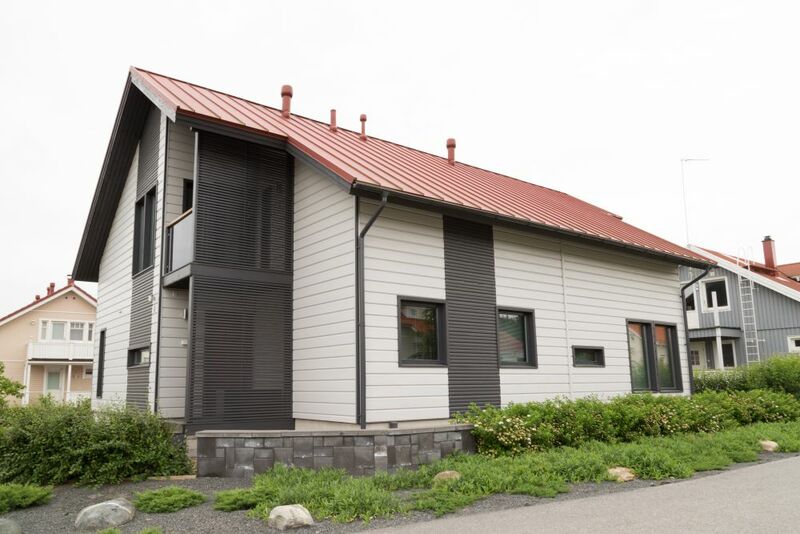 All rest of the house are made of panels up to roof. Main reason for that is to keep budget reasonable. Photo from French building place in where is installing of laminated log corners going on. 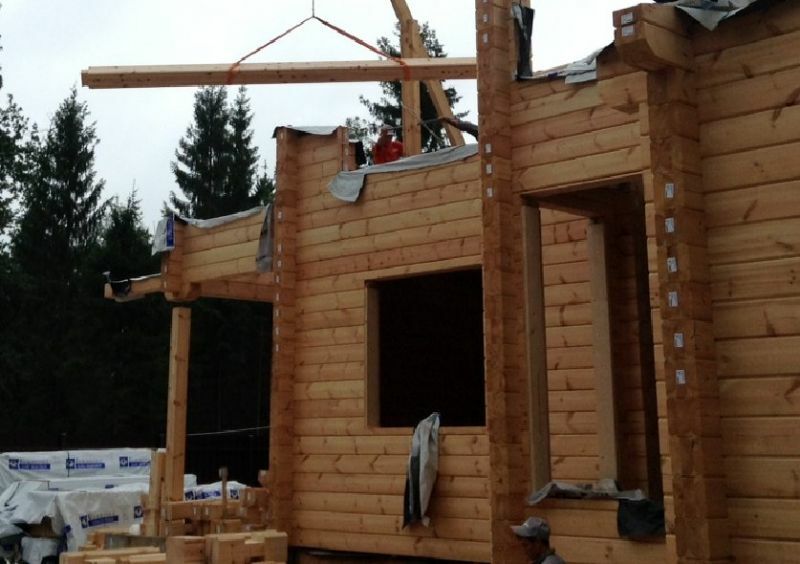 In sides corners are assembled, in gable wall logs are in their place up the window level. 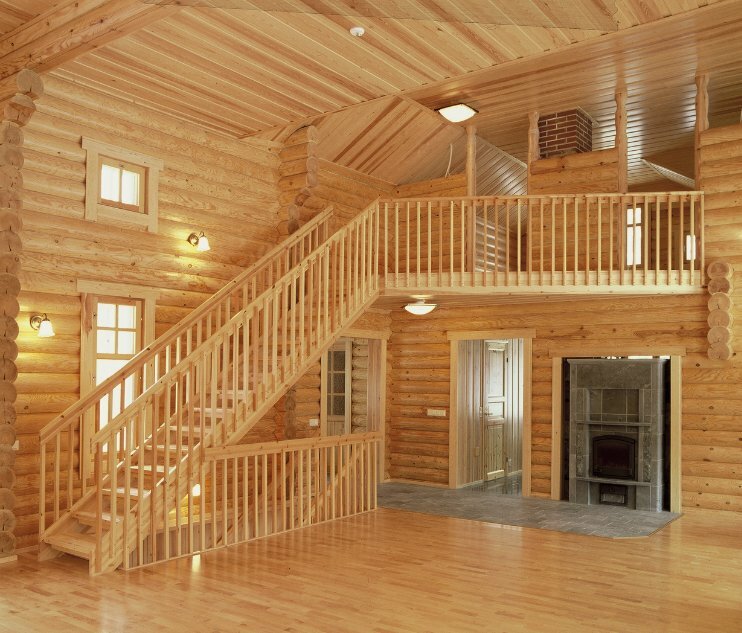 We have several solutions for log corners in addition to classic cross corner. 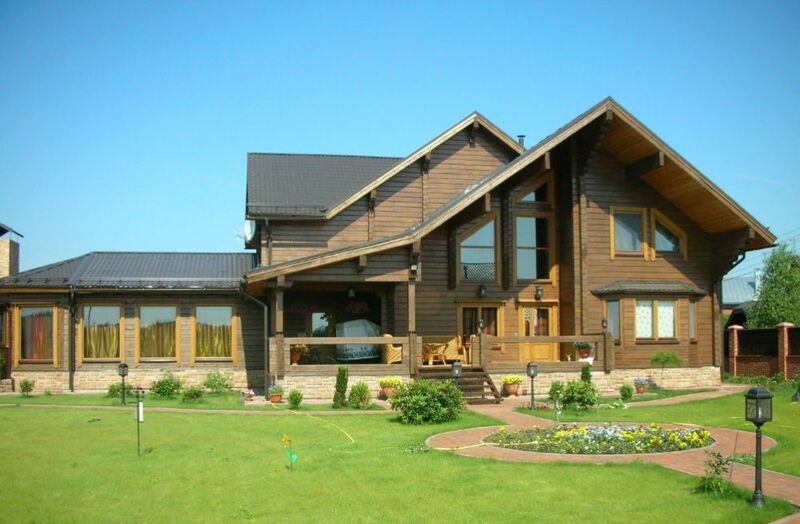 According to modern style there is need to hide the look of log house. Solution for that purpose is CITY-Corner. It can be done several ways as mitered dovetail (in thicker logs started in 113 mm) or various sizes of corner blanks (in all log types). 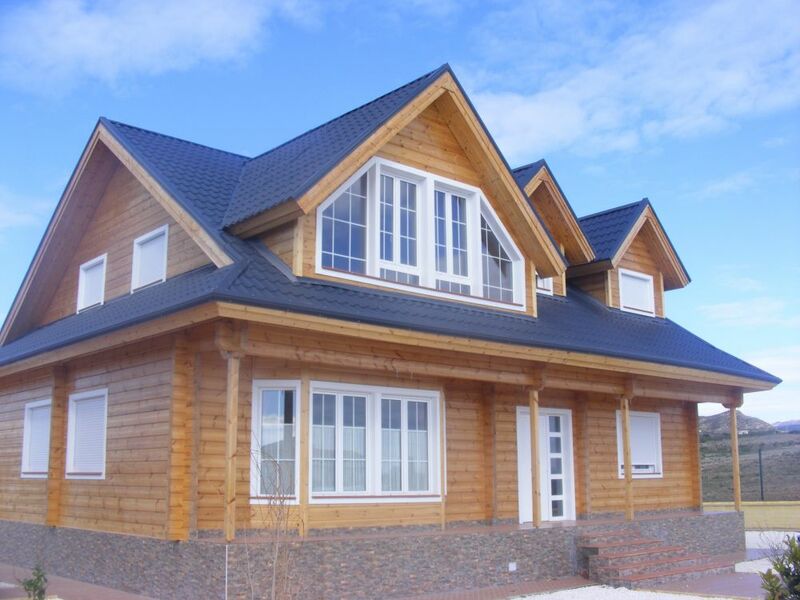 Corner plank styles can be “Minimalistic” to “Mansion” according to required style. 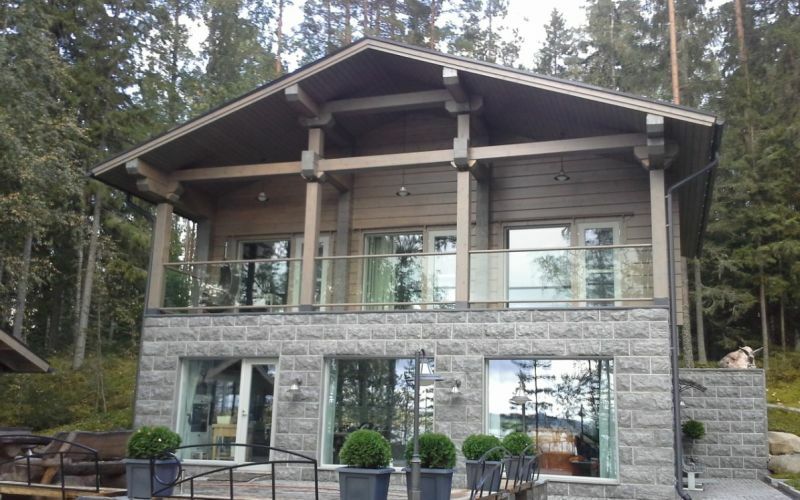 It is matter of taste, but our opinion is that when big laminated log house is produced completely by mitered dovetail there happens some loss of looks: No one can see in ready building the actual thickness of log. That is why we think that the mitered dovetail – corner is in its best in special places of house, for example in angular corners etc.